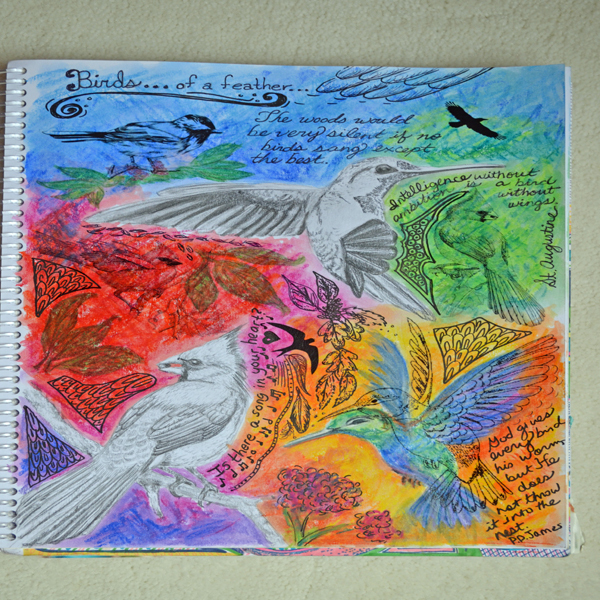 Project Description: Learn how to create a sketchbook or visual verbal journal with transfers using Grafix Laminate Film and Rub-Onz. Art materials to add sketches, paintings, etc. 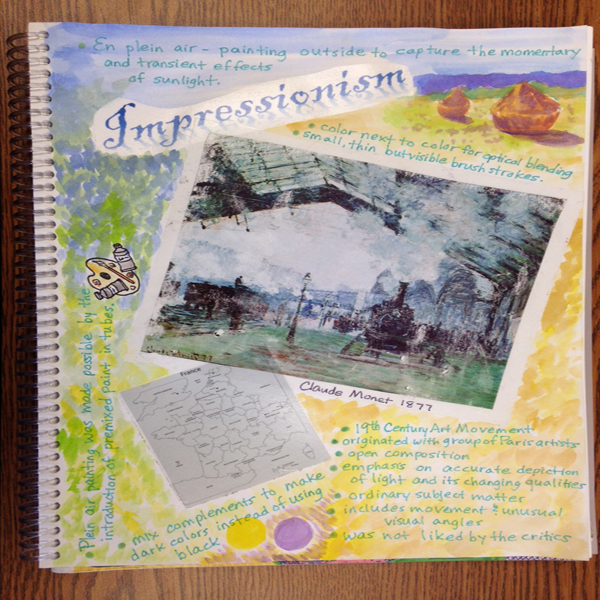 Look at historical examples of sketchbooks kept by artists for use of visual-verbal journaling. Determine a theme for the VVJ, a period of art history or exploration of a particular subject matter. 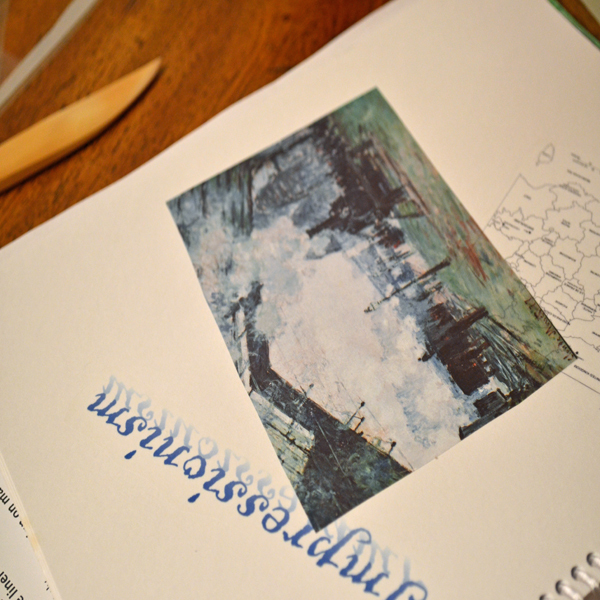 Find pictures in magazines or discarded books that might fit into your theme and cut them out. Use laminate film to carefully cover the front of the pictures and smooth out any air packets with a burnishing device, craft stick or coin. 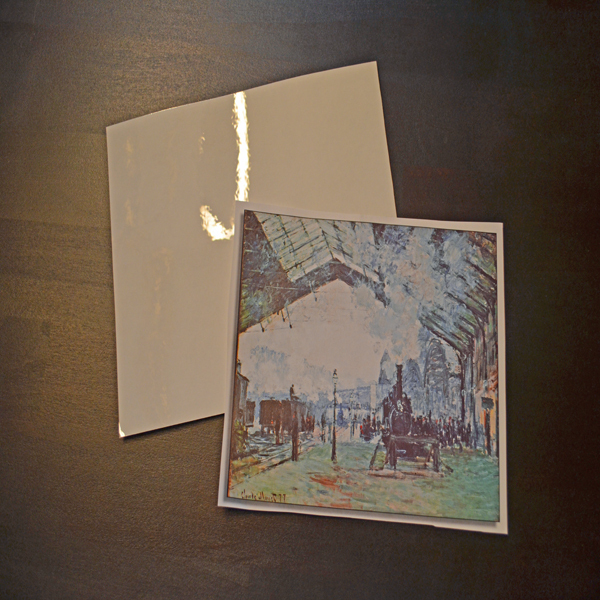 Place the laminate covered pictures into a pan of water so that the water covers the paper on the back side. After it has soaked for a few minutes, gently try to rub the paper off the back. If it doesn’t work, let it sit a little longer. Most magazines and books work, but some need to soak longer than others. 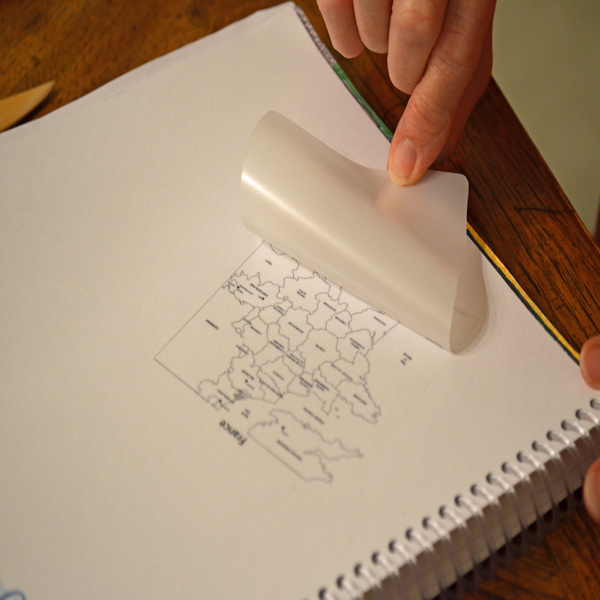 Once the paper backing is rubbed off, you are left with a transparent image that you can add to your VVJ. Let it dry before adding. Usually there is enough “sticky” left to simply burnish it in place and continue on with your page. If you want a color to show through the image, paint or add color to the page prior to attaching the image to the page. If you want to add something specific sucha as a word or a map or any picture you don’t have readily available, you can look up copyright-free images online and print them onto a sheet of Rub-Onz to create transfers. If the image includes words or numbers, be sure to reverse it, as the transfer process will reverse the image. Follow instructions on the package to transfer Rub-Onz. Finish VVJ with sketches and information that relate to the images.